Bicycle Canasta offers you a Canasta card game to enjoy free time in an exciting way. Play againts one, two, or up to five players controlled by computer. There is an option to play in teams of two. You can also set the difficulty to normal or proffesional for more challenges. Canasta is a kind of rummy or 500 rum card game. It is based on matching cards of the same rank. In case you don't yet know the rules, the game provides tutorial in easy steps as well as Help for more detail explanation. Click 'Extra' in the main menu to get access to the tutorial and the help material. 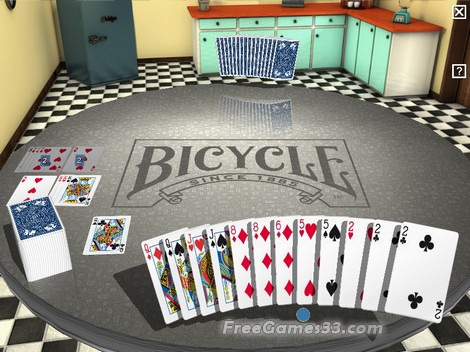 Enjoy 5 solitaire games with soft interface and animation.